If you’re traveling around Europe in a motorhome, it’s extremely likely you’ll encounter many tolls. 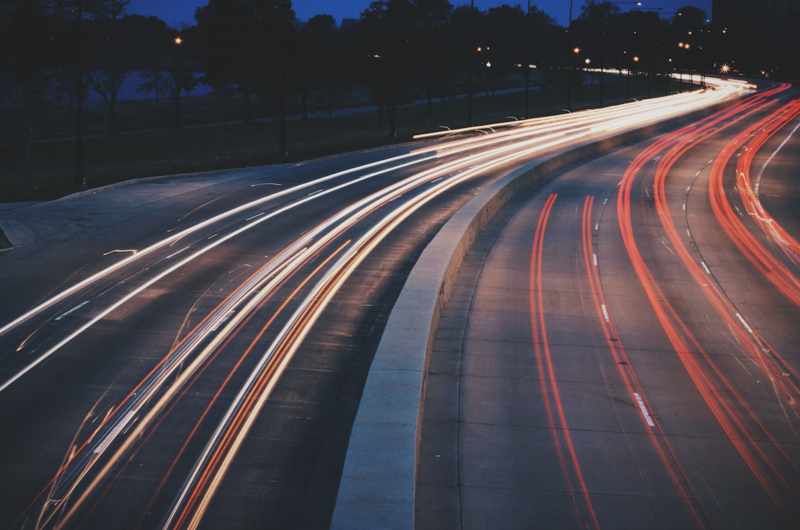 In this blog, we’re providing some informations and tips on toll roads in various countries, and how to pay them. There are many toll roads in France. You can pay in different ways at different toll roads and that can be very confusing! In order to be able to go through the toll gates without difficulty, we advise you to purchase a toll badge in advance. In most cases, you have to wait for a long time. With a toll badge you pay electronically. You can purchase a toll badge that is only valid on French toll roads, but there is also a badge valid for toll roads in France, Spain and Portugal. In Spain, most highways have tolls on them. These can be done in cash or credit cards. Note that tolls need a Maestro logo where possible. You can also use the toll badges mentioned above if you’ll be passing tolls frequently. The tariffs of each toll road vary in Spain. 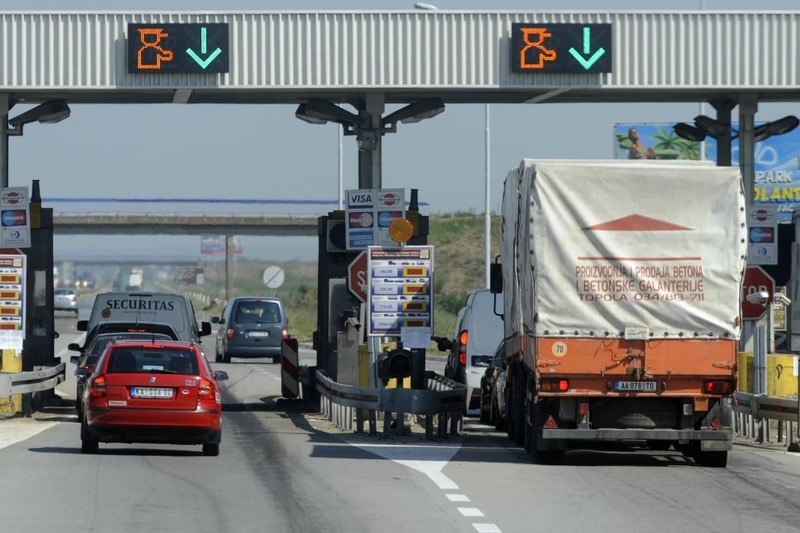 Portugal has a number of toll roads, many of which you can pay in cash. However some are only electronic, and can be done five different ways. Via Easytoll, a prepaid Toll Card, Customs Service or a 3-day ticket. Other optios are Via Verde Visitors, or the previously mentioned badge. The ANWB gives you plenty of information about the different ways, and you can choose the easiest. 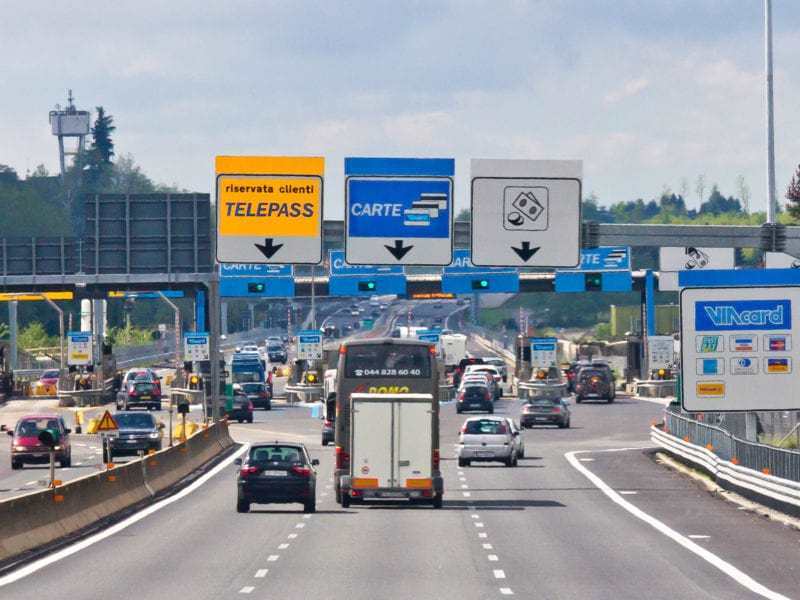 There are quite a few toll roads in Italy. To be well prepared for Italy, it is good to know what price class your motorhome is, with most falling into class two. On autostrade.it you can also fill in your route to calculate how much toll fare will cost. At the manned gates, you can pay with cash, but at many places you can also pay with your credit card. To drive faster, you can also use a VIA-Card, which can be purchased at service stations along the autostrada and at tobacco stores. They cost between €25-€50. When paying at the toll stations, the amount is deducted. Norway has a multitude of toll roads. However, many are only temporary, as the new roads, bridges and tunnels are being paid for by these tolls. Once the costs are covered, the toll will be lifted. In Norway, there are also some cities that charge tolls. You can sign up for the automatic payment system in advance, but you can also choose to continue with Norwegian toll roads. The license plate is scanned, and the account will be sent to your home within four to six months. Another options is EasyGo a convenient system that allows you to pay for tolls in Denmark, Sweden and Norway. There will not be toll roads in Germany until 2019. The German government would like to raise tariffs, but the Netherlands, Luxembourg and Austria strongly oppose that. However, Germany has many cities and municipalities with environmental zones. To enter, your cae must have an environmental sticker. You can read more about these in our blog post about environmental zones. In Austria, the tolls operate slightly differently. You are required to have a toll sign on each vehicle up to 3500kg. The vignette must be in the top left or below the rearview mirror. The motorway is checked by cameras along the highway, and so it is important the vignette is visible and in accordance with the rules. This tolvignet can be purchased at a number of border crossings, or you can contact that ADAC in Germany. Or, it can be purchased at filling stations and post offices near the Austrian border. In the Netherlands, the vignette is for sale at ANWB stores. There are a few exceptions to toll roads in Austria, the so-called Sondermautstrecken. You don’t need the tolvignet, but have to pay a separate toll. On the ANWB site, you will find an overview of other special routes, with all kinds of information of how to pay. In 2018, there will be a digital vignette in Austria. In Switzerland, the same rules apply to toll roads as in Austria. On all motorways in Switzerland it is mandatory to have a tolvignette. In addition, the toll is charged for the Grand Saint Bernard tunnel and the Mint-la-Scheratunnel. The tolvignet must be stuck on the inside of the windscreen on the left side and valid for one calendar year. Do you have an old tolvignet on your vehicle? Take the old one away before sticking a new vignette on your diamond. We hope that this has got you prepared for a large part of a driving holiday! If you need the vehicle to do it, why not check out Goboony!